In 2014 Russia will host the Winter Olympics in Sochi, once upon a time the capital of independent Circassia. The city has 20,000 Muslims, but no mosque. Sufian Zhemukhov considers the historical reasons for official antagonism to building a mosque and its implications for the Winter Olympics. In New York the problem of building a mosque has provoked a confrontation between the Western and the Muslim worlds. A similar problem could be developing in Russia. Sochi has no mosque, though the Muslim population there is 20,000. In 2014 the city will host the Winter Olympics. Where, one wonders, will Muslim sportsmen pray five times a day? And why are there no mosques in a city, which was the capital of 19th century independent Circassia, with an entirely Muslim population? In 2014, many muslim sportsmen will arrive in Sochi to compete in the Winter Olympics. But will the city be ready for their religious needs? Today Sochi has an imam. He is a Circassian and the only mosque he is able to use is 20km outside Sochi, in a small Circassian village called Tkhagapsh. It is in the mountains and has 180 inhabitants. At one time the population was much greater, but the villagers left with the hundreds of thousands of other Circassians who emigrated to Turkey after 1864, when the Russians conquered the country and expelled the whole population. Those who stayed behind were moved to swampy locations beyond the Kuban River. The village was occupied by the 1st Caucasian battalion of the Russian army and was called Bozhiye vody or Divine Waters by the soldiers, because the water was said to be healing. When the Russians left, a few Circassians settlers returned here from other villages. In 1935 the village name was changed to Kirov, after the Bolshevik hero, but in 1993 it was once more changed to Divine Waters, Tkhagapsh in Circassian. The mosque there dates from the 19th century. In Stalin’s time it was closed and used as a warehouse. Now it is the only religious building in or near Sochi that has survived Soviet times. Tourists come to see it, Sochi Muslims come to pray there. In 2010 it was refurbished and reopened on the Muslim feast day of Uraza-bayram. The whole community took part in the reconstruction and Sochi inhabitants (Russians, Circassians, Daghestanis, Ingushes, Chechen and many more) helped too. The work was carried out by A. Koblev, a Circassian builder, who regards the mosque as a unique architectural building. At the same time as the Tkhagapsh mosque was being re-opened, Vladimir Putin visited the cathedral mosque in Moscow. Russian Muslim leaders took the opportunity to raise the question of building at least a temporary mosque in Sochi for use during the Winter Olympics. The Russian Prime Minister promised to pass the message on to his deputy Dmitry Kozak, who is responsible for the organisation of the Winter Olympics. 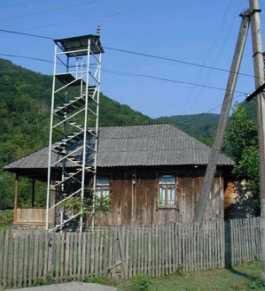 "The old mosque in Tkhagapsh could become a symbol for Circassian protest at the Winter Olympics ... when Muslim sportsmen go to pray at that old wooden building, the screens of the world media will show a symbol of a depopulated country hidden in the mountains ... and remind us of the tragedy that happened here 150 years ago." In Sochi the imam and other Muslim leaders were very encouraged by Medvedev’s clear message and by the Deputy Mayor of Sochi, A. Rykov, who had said previously that “it is not good that there is no functioning mosque in our city”. He added that the question would be given immediate consideration. But then, completely unexpectedly, when he heard what Medvedev had said, he changed his mind. Encouraged by the President, the Union of Russian Muftis had applied to the City Administration in Sochi for permission to build a mosque. How great was their surprise, when they received a flat refusal from A. Rykov, saying that they already had a mosque in Tkhagapsh, so he considered there was no need for another one. The old mosque in Tkhagapsh is a unique symbol, a tiny island left over from a forgotten Muslim country. Perhaps that forgotten mosque will become the symbol of Circassian protests at the Winter Olympics, which, by an irony of fate, are due to take place exactly 150 years after the end of the Russian-Circassian war. Today’s Circassian movement lacks just such a symbol, but in the run up to 2014 the question is gathering momentum like a snowball rolling down hill. Unification of the territories is another issue. In Stalin’s time 700,000 Russian Circassians were divided into three regions: Adygeia, Kabardino-Balkaria and Karachaevo-Cherkassia. The third issue is the 5,000,000 strong Circassian Diaspora spread across 50 countries, who have no right to come back to their motherland. These events came to be known as the “war of conferences”. They have contributed to an unexpectedly positive development in Georgian-Circassian relations, uniting the sides on the question of Sochi. 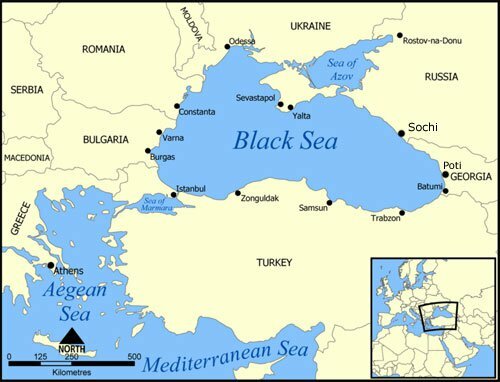 In the 1992-93 war between Georgia and Abkhazia, 2000 Circassian volunteers fought on the Abkhazian side, so a year ago no one could have predicted that Georgia would support the Circassians. There is no doubt that the Sochi administration is closely monitoring the Circassian question and the problem of the construction of a mosque. Environmentalists are concerned about the ecology of Sochi; some citizens organised a hunger strike to protest at losing their homes; there were complicated elections for the post of Mayor of Sochi. Everyone is trying to capitalise on the Sochi card. The authorities have so far managed to keep these movements separate, but how long will they be able to do so? The city authorities are not very well up on Islamic theology, so they probably do not know that Muslims prefer to pray collectively, rather than privately, and that Friday prayers have to be held in a mosque. 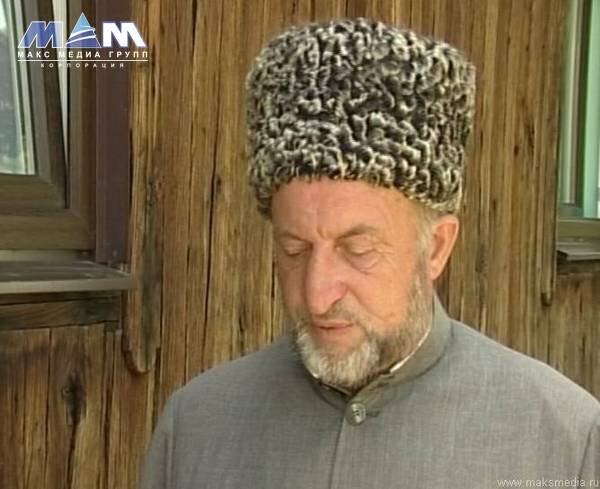 They probably cannot imagine Muslim sportsmen from all over the world going to a Circassian village to pray in the old mosque, led by the Circassian imam, Batmiz Shkalakhov. Religious and political leaders have stressed the need for a new mosque to cater for Sochi's muslim population. Currently, the nearest place of worship is some is 20km away in Tkhagapsh. However, it would appear that Sochi’s Deputy Mayor has not missed that point. He plans “using the experience of the 2008 Beijing Summer Olympics, to furnish special prayer places for the Olympic participants, while bearing in mind that winter sports are not popular in Muslim countries.” Is it true that Muslim countries don’t have winter sports? How many Muslim sportsmen will come from non-Muslim countries? Including Russia, which the Deputy Mayor apparently regards as a non-Muslim country, in spite of its 25,000 million Muslims, with many world champions among them. Can Sochi be measured on the same scale as Beijing, which has 70 mosques? One thing is certain: the Circassians will repeat their Vancouver protest. In compelling Muslim people to go to the Circassian mosque, the Sochi authorities will open up another unhealed Russian wound, which becomes increasingly painful, as the Olympics draw closer. When Muslim sportsmen go to pray at the old wooden mosque in Tkhagapsh, the screens of the world media will show this symbol of a depopulated country hidden in the mountains, reminding us of the tragedy that happened here 150 years ago.